The Platinum Inn offers a comfortable stay to the travelling souls. Its location near Kochuveli Railway Terminus makes it easily accessible. The airport is also at a close distance making it a perfect place to enjoy a stay. With bright rooms and cozy decor, guests can be at ease and relax in this hotel. Various wooden furnishing adds a level of comfort for guests to put away their belongings. 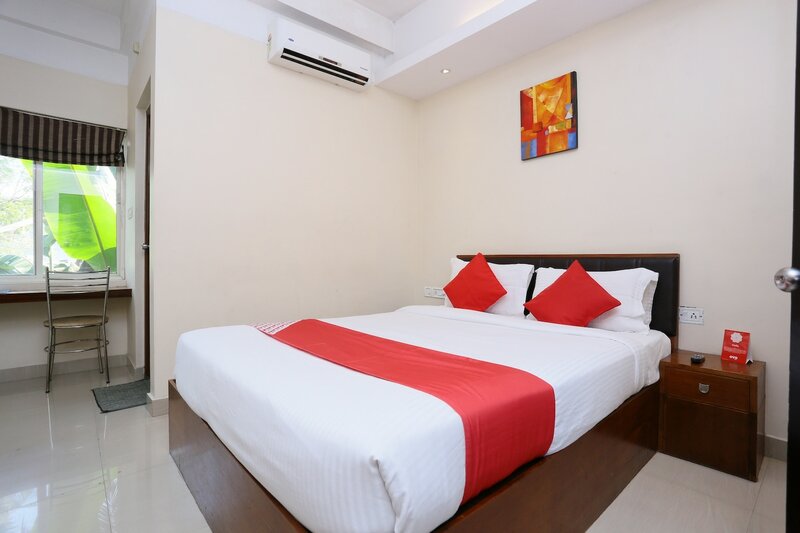 Guests can avail free wifi, parking facility and laundry service at a nominal price. Card payment option is available too. One can head to the iconic Indian Coffee House to enjoy some delicious and mouth-watering cuisines. Travellers can also visit Veli Lake, various churches in the city with much convenience.